Mexican food has a definite place in our high street restaurants and supermarkets. 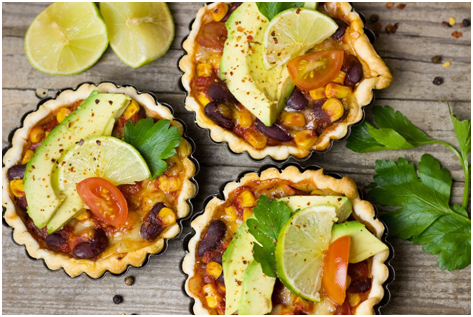 Popularised partly by people who have experienced Mexican cuisine on holiday but mostly by television cookery shows and an influx of US-style “Tex Mex” eateries, many of us would say we like Mexican food. Fewer of us, however, would feel comfortable cooking authentic Mexican food. This is a pity because not only is it very tasty, but much of it is easy to cook. To cook good Mexican food, you don’t need anything more than you probably already have in your kitchen, but a mortar and pestle to crush chilli, spices, and garlic might be helpful. However, if that sounds like too much effort, a food processor can work just as well. Less easily replicated by our modern culinary arsenal is a cast-iron chargrill. This is used to chargrill chillis to imbue them with a wonderful smoked taste. Holding the chilli over a naked flame suffices in the absence of a chargrill. If you do have a chargrill, you can also use it to reheat tortillas and give them that authentic stripy appearance. Think beyond tacos, salsa, sour cream and tequila. Remember that Mexico is the land that combines chocolate with chilli, with outstanding results. The BBC is an excellent source of information on Mexican cookery, but why not start simple with that country’s version of a sandwich? Called a torta, it’s a flat bun that’s packed with beans, cold meat, lettuce, tomato, cheese, avocado, sour cream and, of course, chilli. You can use whatever cold meat appeals but something strongly flavoured, such as beef, works well. 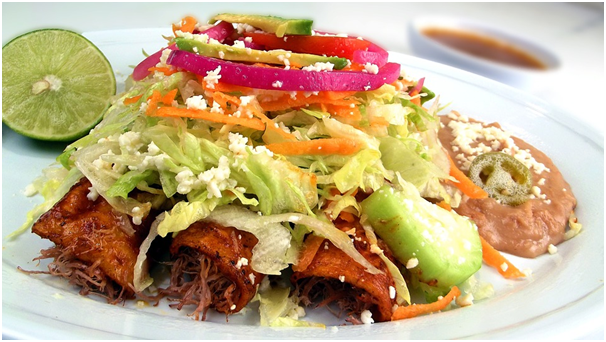 For other online beef recipes to use in your Mexican cooking, try http://food-tales.com/food-recipes/beef/. Perhaps you’re keen to try the famous chilli and chocolate combination for yourself. If so, here’s where your mortar and pestle (or food processor) comes in. You want to make a “mole poblano”, where bitter chocolate is pounded up with chillies, seeds, nuts, herbs and spices. This sauce, which has real depth and flavour, goes well with poultry. A final simple idea is to make your own salsa. Homemade salsa is a far cry from anything that comes from a supermarket jar. It’s a fragrant mixture of chopped onions, red and green tomatoes and, of course, chillies.